Sometimes it just isn’t your day. Maybe that nail was in your tire for days or even weeks but for whatever reason, today was the day it came out and now you find yourself with a flat tire. 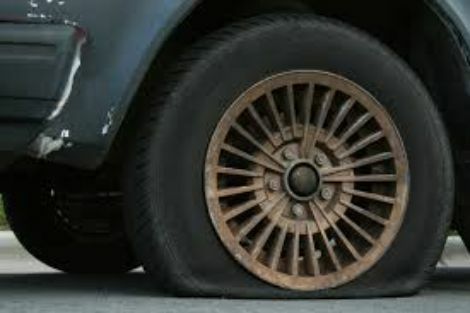 Don’t make it an even worse day by trying to drive on your flat tire- even if that gas station seems so close. First off, driving with a flat tire instantly changes the way your vehicle handles, and not for the better. Losing control of your vehicle can have dire consequences for you and other people on the road. Second, driving without an inflated tire can severely damage components of your brakes, suspension, fenders and obviously your wheel. Turning an affordable repair or replacement of your tire from the best towing company in Denver into an entirely unaffordable bill from your mechanic. We know there is no convenient time for a flat tire so let our towing experts provide you with the convenience of speedy and friendly roadside assistance and get you safely back in on the road. Got the tools and ready to do it yourself? While changing a tire is usually a straightforward process, the dangers of roadside work are very real. You certainly don’t want to risk further damage by trying to drive your vehicle with a flat tire but you don’t want to risk personal injury by working on a busy freeway with distracted drivers. What you need is a professional. Along with a couple road cones, a high visibility fluorescent vest and a big tow truck with flashing lights so that other drivers would really have to work hard to not see you. Wait. You don’t have all that? Well then give Denver Super Towing a call at 720-800-6161 and let a professional to fix your flat.